There are a lot of people today who are looking to become a lifeguard. Should you become a lifeguard? Before you even make the decision, it is a good idea that you know the regular routine of a lifeguard is. Here, you will have a better understanding of what it takes to be one and if it really fits your personality and your training. So what happens when you are a lifeguard? First, you have to stay sharp. You can’t go to work and not have the focus that you need in order to watch people around you swim. The least that you can do is to have the motivation to work. You just can’t run out of focus because the moment someone dies in your shift, you are the one who is going to be in trouble. Next, you also have to stay in shape at all times. The reason why you have to stay in shape is the fact that you don’t want to be the one who loses his or her cardio and end up being the one who has to be saved. You will also have to consider the fact that you should be doing your practice every now and then. Be sure that you are able to do the proper form in rescuing another person and be able to swim fast. Another thing that a lot of lifeguards do is that they usually train and even lift weights. This can help supplement their training and help them develop the muscles needed for swimming. What you have to understand is that lifting weights doesn’t always make you bulky. In fact, it can help you achieve better performance and this is also true in swimming. For lifeguards, they should be able to also know how to perform first aid. And this means that you shouldn’t just know CPR. There are other injuries that can occur in the area where you are working as a lifeguard. For instance, someone could actually slip. You need to know how to assess the situation and call 911 if you have to. Keep in mind that the goal of the lifeguard is to make sure that the person is receiving first aid medical attention even before the medical workers arrived. Next, another routine that is usually part of a lifeguard’s life is that he or she is most likely always looking for possible areas that could injure people who swim in the pool or at the beach. You will be surprised by the number of things a lifeguard could spot. If you are planning to be a lifeguard, you will have to be dedicated to the lifestyle of keeping your body in good shape. You need to eat and sleep right in order to be able to perform the work as a lifeguard. In reality, it isn’t really for everyone. As much as possible, it is really a job for physically fit individuals. And for this reason, it is usually a job for younger individuals. It is usually something that people in their 20s tend to do. Becoming a lifeguard today can be a good thing because it offers a number of perks. For one, you can actually have a good pay considering how relaxed the job is. You are not actually saving another person every time. And for a lot of people, the relaxed state of the day to day operations in the workplace is already enough reason to get a license. However, you have to remember that lifeguards can also be in trouble if they weren’t able to save someone from circumstances that they are trained to avoid. There are two types of lifeguards today. One, you have the one that looks after beach goers aka beach lifeguard. Next, you can also be a lifeguard looking after those people swimming in a pool area aka regular lifeguard. You want to make sure that you know the difference between beaches and a pool area. So what are the things that you should watch out for? If you want to prevent drowning, you need to be aware of where the deep part of the water is. Unfortunately, if you are going to watch people swim on a beach, it can get a bit tricky. Unlike a pool that has been labeled for you, you will have to be more conscious if you are a lifeguard on a beach. You will never exactly know where the deep part is even if it is just near the shore. You also have to be conscious of the fact that there are those people who tend to go far and end up to be drowned by the waves. If you are going to be a lifeguard, good cardio is always a must. However, if you are going to watch people swimming on a beach, you need to be extra confident with your swimming skills and your ability to swim in long distance. You will also have to take into account the fact that it becomes harder to swim when you are in the sea mainly because of the waves. If you are a lifeguard in a beach setting, you will have to be prepared. You will also need to have your own flotation device in order to rescue another person out of the water. You have to consider the fact that it is a dangerous thing to go into the water without any flotation device mainly because you can never predict the waves and even the depth of the water. In some instances, you will need to have a standby jet-ski in order to get to the drowning person faster. And also, there are instances when you will have to rescue more than one person who is drowning. If you are someone who is new to the job, it is a good idea that you stick to pools rather than beaches. You will have an easier time implementing the rules in a limited space than on a beach. You will have the opportunity to hone your skills and build on your confidence in a pool setting. Sometimes students take the lifeguard training class with waterfront so they are able to work at the beach or the pool. You’re exploring your career options and your passions, trying to find some overlap. Isn’t everyone’s goal to have a job they love? If you love your job, you’ll never work a day in your life, right? Lifeguarding is one of those types of jobs. There are so many aspects of this position that make it not only profitable but enjoyable. Why become a lifeguard? Keep reading to find out 5 of the reasons why this job rocks. Whether you’re looking for a summer job or a long-term career, you know you’re going to have fun on the clock. As a lifeguard, you get to monitor the pool or beach from the sidelines while getting a tan. You build relationships with frequent swimmers and get to teach them about water safety. Plus, the relationships you build with the rest of your team are built on mutual respect and support. You’ll always have colleagues to lean on and learn from. You don’t get to save lives in many other jobs. Lifeguarding is one career that serves the community and benefits others. Compassionate and caring individuals often take well to this career path because they feel like they’re making a difference. The first time you save a scared little kid from drowning will change your life and you’ll recognize your life’s purpose. It’s incredibly rewarding. 3. It leads to more opportunities! Being an experienced and highly trained lifeguard can lead you to further job opportunities. From monitoring the beach to the pool at a tropical resort, the options are endless. There are opportunities in the EMS with water rescues as well as for international government rescues. Your training and acquired skills can prepare you for a life of travel and adventure if you’re willing to work for it. 4. It keeps you healthy! It’s never a surprise to see a lifeguard with extremely chiseled abs and lean muscles. You have to be physically strong and coordinated to rescue people from the water, especially if there are waves or undercurrent. Staying on top of your physique for your career benefits your health in the long run. You’ll prevent obesity, diabetes, heart disease and a slew of other health issues by maintaining your lifeguard body. 5. It’s a mix of high pressure and low intensity. You’ve likely seen your community pool’s lifeguard chilling on a pool chair and seemingly doing nothing. While they are working by monitoring pool activities, most of the time being a lifeguard is a relaxed position. However, within a second everything changes and you’re saving someone’s life. This job goes from 0 to 100 in a millisecond. Ready to start your lifeguard training? Are you done wondering, “why become a lifeguard?” If the 5 benefits we listed here sound like a dream come true to you, consider enrolling in a lifeguard training course. Whether you have prior experience or not, it’s never too late to follow your passion and start saving lives. We help all lifeguard candidates find a lifeguard class near me. Being a lifeguard is extremely rewarding. Your presence helps people feel safer around an aquatic facility and allows them to enjoy their time knowing that you can act promptly in the case of an emergency. Anyone can become a lifeguard if they pass certain tests and get special certificates that qualify them to recognize and prevent hazardous situations around a swimming pool or any other aquatic facility. They should also be able to manage a dangerous situation by providing first aid until professional medical help arrives. There are 2 types of Lifeguard supervisors. One type is lifeguard management, and second type is Pool Activity Leader (PAL). In New York State, lifeguard management students must take the lifeguard management in person exam. A lifeguard supervisor is responsible for managing different lifeguards working in a certain aquatic facility. Your job is to keep an eye on the newcomers, mentor, train, and assign them to different posts to guarantee that safety measures are met. After passing your basic lifeguard training class, you will have to work for some time in order to become more experienced. Real-life situations involve dealing with terrified parents, panicking children, and rebellious teenagers, where your job is to guarantee that everybody is safe and all safety policies are put into action. This is why, every facility needs to have their own Aquatic Solutions. If you are above the age of 18 and already have your lifeguard certification, you can become a lifeguard supervisor by getting your First Aid/ CPR certification and Professional Rescuer Certification. These certificates require passing certain exams that allow you to train and supervise new lifeguards who are joining your facility. 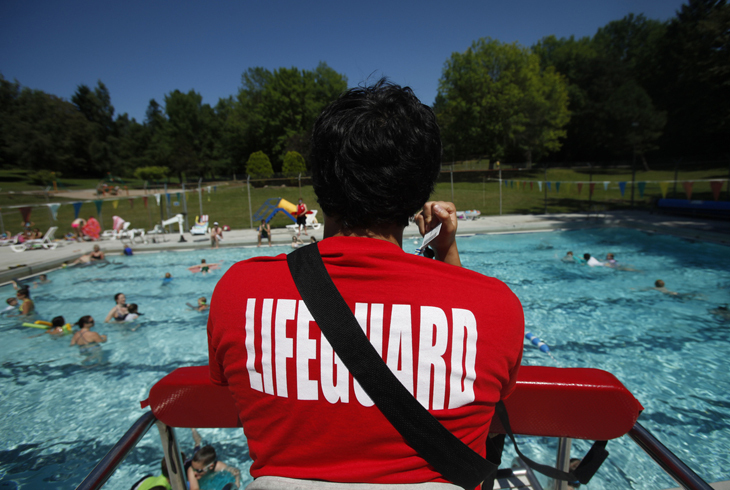 What is the Job of a Lifeguard Supervisor? 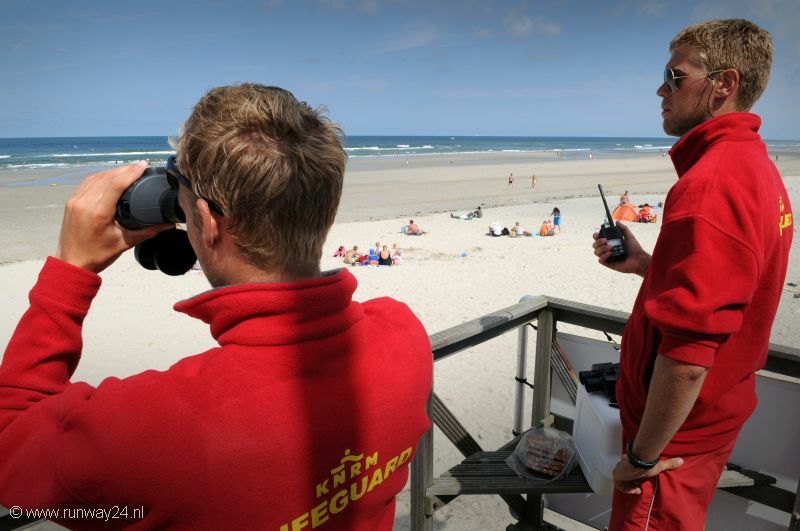 Your main job is to present and manage lifeguard training to new staff members. This can be really tough if you have a lot of newcomers who don’t know how to act in a real-life situation. You should be able to provide guidance, solve problems, and make sure that the new members of your team are comfortable and ready to work. New lifeguards will look up to you and observe how you act in a high-stress environment. It is your job to calm them down and teach them how to act cool when people are panicking, so they can take the right decisions at the right time. Lifeguard supervisors are also responsible for monitoring and maintaining the water quality of a swimming pool. In case of any hazard or danger, you have the authority to limit access to any aquatic facility until you notify the management with the current problem. Maintaining everybody’s safety is one of your biggest responsibilities. If you feel that one member of your team is unable to perform their job, needs help or is currently dealing with a stressful situation, you should step in. You should be able to create harmony among new and old team members while managing their work/ rest schedules. You can also supervise and manage staff meetings and special training courses. These will help your staff members gain the necessary skills that they need while working as lifeguards. When you are a lifeguard supervisor, everyone depends on you. You should maintain your focus and make sure that the safety of all patrons is always met. When someone needs immediate care, an untrained person will panic. Panic and the poor decisions it causes are far more likely to end in death. Emergencies cannot be predicted. Training and holding a certification prior to an emergency situation will help you act quickly, in the moment. Aquatic Solutions aims to save lives. Training under this program provides you to the opportunity to benefit yourself and society. The program will also give you the skill set and the confidence to help people any way you can. There are different benefits you can get from the training program. Unforeseen situation situations can happen anytime. It’s best to be prepared for them beforehand. Accurately assess the situation and act appropriately, taking into account the different circumstances of the victim and environment. In addition, preparing oneself physically, get into good health and physical condition are also results that can be achieved. People who become exhausted make mistakes of judgment. This Lifeguard Certification Training program also provides one with the necessary knowledge on how to do critical thinking and fast decision making. Learning this ahead improves reaction time thus resulting to an action taken immediately. Another goal of this program is for the trainee to be more confident in stepping up to help those who are in need. Programs offered are CPR training, first aid, and operation of Automatic External Defibrillators. This Red Cross lifeguard class also provides one with the necessary knowledge on how to do critical thinking and fast decision making. Learning this ahead improves reaction time thus resulting to an action taken immediately. Another goal of this program is for the trainee to be more confident in stepping up to help those who are in need. Programs offered are CPR training, first aid, and operation of Automatic External Defibrillators. Anyone can learn CPR and everyone should. CPR helps keep blood and oxygen flowing and dramatically increases the chances of survival in those who came from drowning. Time is the essence when treating his kind of victim. Once the heart stops beating and blood flow stops, a person will lose consciousness within fifteen seconds. Within another thirty to sixty seconds, he will stop breathing, and irreversible damage to his brain cells will follow after several minutes of oxygen deprivation. There’s no blood circulating in the body to deliver oxygen to the brain and other organs. Death is just minutes away. CPR classes will equip you with the tools and the confidence you need to transform yourself from the role of bystander to lifesaver. CPR certification will give you the necessary training to make the right decisions in the event of a cardiac emergency. When properly and promptly performed, CPR can dramatically improve person’s chance of survival. First aid knowledge is invaluable for both you as the individual and the people surrounding you. It enables you to assist persons who become injured in the event of an accident or emergency situation until help arrives. You won’t know when or how you will need to help a friend or family member prior to the situation. Fortunately, you can prepare yourself for possible circumstances. First aid knowledge is an essential part of any situation that should not be ignored. Basic first aid knowledge is comprised of relatively simple techniques and procedures that can be performed with limited equipment and is typically carried out until professional medical assistance arrives. It is very important for everyone to have at least a basic knowledge of first aid. The paramount way to be ready for unexpected aquatic problems is to prepare and undergo the training offered by Aquatic Solutions. Enhance decision making skills when an emergency situation happens. A mindset that one should have is that he or she should be prepared for anything no matter what circumstance. Aquatic problems should be faced using a step by step approach. Before intervening, one should assess the situation first before anything else. Identify the water conditions of the area. Know which way the currents are moving so when you enter the water to rescue a swimmer in distress, you will be able to swim the fastest route to the victim. A person can pick out any possibly threatening situation such as someone going out too far or someone swimming into a possible rip current. Other questions you should be asking yourself are; is there something that may endanger your life? Is it safe to rescue the drowning person? It is important to keep in mind that the number of casualties should be kept at a minimum. Don’t be a casualty yourself. This is why proper assessment of a situation is crucial and imperative when it comes to rescuing. One wrong move could harmful and lead to numerous unfortunate events. As soon as you begin to see a rescue developing you must identify the problem. Is it in a rip current? How immediate is the threat, is the water extremely rough? All of these situations call for various approaches. But the first step is to alert the lifeguard that something is going on and make a move. This step is necessary as it lets the rest of the patrol know you are going in and they can all send a representative from their stands to provide backup. Once in the water it is important to not lose sight of your victim. A rescuer should modify their swimming technique when approaching a victim. Lift head straight up and out of the water every few strokes while swimming freestyle and searching for the victim. Once you reach the victim, identify yourself as the rescuer and assure that you are there to help and everything is going to be fine. Calm the victim and give instructions slowly as soon as his or her panic decreases. Explain every move you make to ensure comfort and maximum participation. Secure the victim in front of you. The next thing to do is to swim back to shore. Once the victim is in position, they are in no immediate danger. Lifeguards are already alert and ready to help at any time they can. Whether you are being pulled in or swimming in, talk to your victim, have a nice conversation, explain what’s happening as well. Alleviating anxiety can be a big time help. As soon as you reach the shore, help the person stand. Keep your arm locked around under their armpit, this will help if they collapse. Once on dry sand explain to your victim what they did wrong and tell them to be careful next time around. A lifeguard’s job is a crucial one. His presence and fast actions set the definite line between life and death. Adequate training and practice are essential for anyone who wants to become a certified lifeguard in order to be able to act fast in the case of an emergency. Professional and well-trained lifeguards should show amazing skills that enable them to recognize, prevent, and manage any case of emergency in an aquatic facility. This includes dealing with medical emergencies and giving first aid until the paramedics arrive. Shallow pool lifeguarding training focuses on teaching lifeguard candidates how to act while working in a pool that is 5 feet deep or less. This training course is suitable for beginners who want to work in aqua parks and areas where there are special swimming pools designed for kids. A perfect candidate should have good swimming skills that enable them to swim continuously for at least 100 yards, even the pool they supervise is not that big. They can swim for 100 yards using the front crawl or backstroke. They shouldn’t swim on the side or the back because this is the typical situation where they will be carrying someone else out of the water. They can demonstrate breath control and handle others in cases of panic. They are able to tread water for 2 minutes while putting their hands under their armpits. They can pass this test: swim for 20 yards then go to the depth of 5 feet, retrieve a 10-pound object, and return to the surface. They are later asked to walk or swim for 20 yards to return to the starting point while carrying the object. Other options for students who want to become lifeguards are, Lifeguard Training, Pool Activity Leader (PAL), Lifeguard Management. You don’t need a lot of training to become a certified shallow pool lifeguard. If you have the necessary skills, you will be given a crash course on first aid and how to act in the case of a medical emergency until professional help arrives. You are going to receive a certificate that is valid for 2 years. The test itself will take one day and you will be ready to work as a professional and certified shallow pool lifeguard once you complete it. Lifeguards should be able to handle stressful situations, so you need to understand that you will have to handle a lot of panic, shouting, and fear. It is your job to calm people down. You mustn’t let these factors affect you in a real-life situation where you are asked to act promptly to save someone’s life. Once you have become sure that you are ready to do the job, you can find a lot of employment opportunities, especially in the summer where people will be spending more time around pools with their little ones. There are many reasons that explain why life guarding is the best job. It is more like a welfare and charity work than a professional job. Nothing can be more fruitful and rewarding than saving a life. So, you should happily choose this field and give your best. Why life guarding is the best job? Because, it boosts your self-image to a great extent. When you work to save for others and alleviate their hardships, you become honored. It is a sacred and graceful task that only the most sensible people can do. It makes you more confident and you become more productive in future. When a person is about to dive in the water and he is sure he will not survive now, suddenly you appear. You work to bring him to the shore safely. You exert all your efforts with energy and passion. The victim gets impressed by your work and is also grateful to you. You also get good remarks from your boss and team members. It makes you really happy because your work is not going in vain. That’s why life guarding is the best job. Saving a life is saving entire humanity. So, this is a great reason why life guarding is the best job. You are striving hard to save precious life of people. They can be taken away from heavy waves of the ocean anytime. You are oblivious of any avariciousness and riches in return. You just work for the sake of their survival. Your intention is to bring relief to them and protect them from drowning. The most appreciable thing is that you are on duty all the time near the shore and immediately act as soon as someone in waters screams for help. People claim big that they are philanthropists and can’t see anyone in pain but they rarely do anything practically. You are the one, who is actually doing this job which will give you great benefits in this world and huge reward in the Hereafter. As a lifeguard, you are considered important by all. Everyone is after you when they are in need and they can’t do anything without your help. They really need you to be there to save them. They desperately wait for your arrival and also follow your instructions when you think there is need of that. You have respect and value for others and they can even lose their life for good, if you are not there to give them a hand. So, it’s a fair reason to explain why life guarding is the best job. You get opportunity to experience adventures that are not possible in any other work. This is why lifeguarding is the best job. It is full of excitement and thrill. You have to take action promptly and go into the water to save the victim. You can’t waste a single minute. At that time, every second counts and minor delay can cost you in the long run. You have to stay focused and agile. Because lifeguard is all about acting on time, staying focused on the target, working without any desire to get big rewards and most importantly, taking the right decisions quickly in times of emergency; it teaches lifetime lessons that you may not learn in any other way. So it’s a great opportunity to keep learning how to live and work in well-organized manner. This is why life guarding is the best job. Because it is full of physical activity it’s good for improving health and muscular strength. This is another reason why life guarding is the best job. In this job, you have to keep moving from one spot to another. You stand out under direct sun and it keeps your body warm whole day. When you run, swim and do various tasks during your working hours, it gives you a chance to shed pounds and burn calories. It also tones the muscles and develops stamina. You become strong and energetic. It’s not at all a sedentary job, where you have to sit on chair all day and work on PC. It’s all about physical activity and mental alertness. Those working in congested offices often get dull and bored. But, in your case, you get a chance to be in nature’s company all day. There’s beautiful natural views all around, the sea shore, aquatic life, fresh green trees, hustle and bustle of people basking at the beach, deep clear water, direct sun and so on. No other work can offer these benefits. That’s why life guarding is the best job. What if I cant pass the regular lifeguard class? If you cant pass the requirements for a regular lifeguard certification class, you can always become a shallow pool lifeguard, or take the Pool Activity Leader exam. 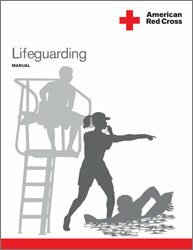 Ever wanted to become an American Red Cross Certified Lifeguard? 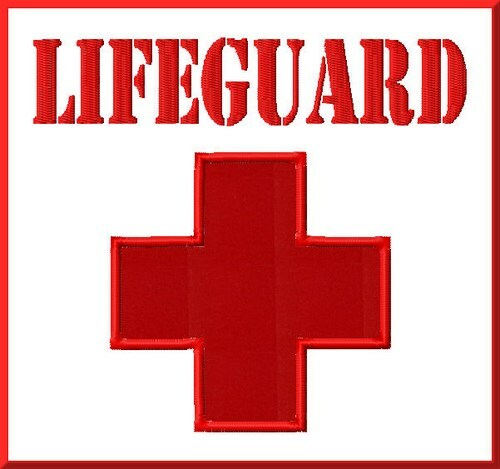 If you are at the very least 15 years old and need a lifeguard job, we have a wonderful chance for you … Lifeguarding! Being an American Red Cross Qualified Lifeguard opens you as much as many rewarding chances and also the pay for Lifeguards has never been higher than today. By taking the American Red Cross Lifeguarding course with an Red Cross lifeguard training provider, you will certainly be taken into consideration having a “Gold Requirement” for your training. All Lifeguards remain in wonderful need because of the high quality training we give and the real world preparation that Red Cross lifeguard instructors infuse in the Lifeguards. You as a lifeguard will certainly be well planned for that guard chair. All lifeguard students have virtually no concern finding a Lifeguard job with minimal pay at around $12.00/ hr getting to in the direction of $22.00/ hr and more at some locations. Lifeguard Training HQ supplies fairly priced courses and all of our Lifeguarding classes include CPR/AED for the Professional Rescuer as well as Emergency treatment certification AND ALSO consists of a Pocket Face Mask combo collection (Adult as well as Pediatric masks) that are YOURS to maintain. We likewise supply an optional Waterfront and Waterpark Lifeguarding add-on module for people who like the beach, sunlight and also surf! Additionally, if you live in Nassau County Area NY, we also use a training course to help prepare people for the Nassau County Certifications. Registering for a Lifeguarding class in New york city is easy on our site. Do not hesitate to ask a question as well as obtain the exact answer rapidly on our live conversation that is staffed with Lifeguarding Instructors and also Trainer Trainers who eat, consume alcohol and also swim this service! We provide countless offerings and also areas in addition to the best group of Lifeguarding Instructors that make every class an enjoyable as well as enjoyable experience. We also have routine price cuts for our classes as well as our site is really mobile enhanced so you can reserve the class from your phone. You are simply a click away to a fantastic career that is not just enjoyable but pays unbelievable. Register today for all American Red Cross Lifeguarding courses. If you are looking online for a lifeguard class near me, then we help you find a lifeguard training class near me. We will help you get a lifeguard job and find a lifeguard class in all 50 states . Option for your employment for several years to come !! Become a lifeguard today!! !